On Friday, a U.S. District Court Judge rejected the Safari Club's effort to overturn a U.S. Fish and Wildlife Service prohibition on importation of sport-hunted trophies of African elephants from Tanzania and Zimbabwe. Good. Safari Club argued that the ban would irreparably harm its members' recreational interests. Recreational interests in killing African elephants... at a time when the elephant poaching crisis is at a historic high with 35,000 to 50,000 elephants poached annually... African elephants, living creatures traipsing the continent's forests and savannas with grandmothers, daughters, and granddaughters, living together in matriarchal families. Irreparably harm its members' recreational interests? It's so selfish and short-sighted as to be (painfully) laughable. We know what is happening in Tanzania and Zimbabwe right now; the results of the study Born Free commissioned, Ivory's Curse, say it all. In Zimbabwe, the political and military elite have a stranglehold over wildlife habitats, and there are ongoing fears of the connection between land seizures and poaching increases. Prosecution of poachers and ivory profiteers in the country is almost non-existent. In Tanzania, corruption, control of hunting blocks, and weak enforcement is leading to the decimation of the nation's elephant population. There has to come a time, even in the most determined hunting extremist's life, when she or he says "enough"... when there is a recognition that the problem is bad enough: human-elephant conflict, habitat decimation, drought, live capture for captivity and poaching for the ivory trade. Perhaps this is not the time for hunters to make a conscious decision to be part of the problem. Perhaps this is the time to say that, in a moment of stark honesty, there is simply no good justification to hunt elephants in two countries where poaching and wildlife law enforcement and illegal ivory trade are all problems. 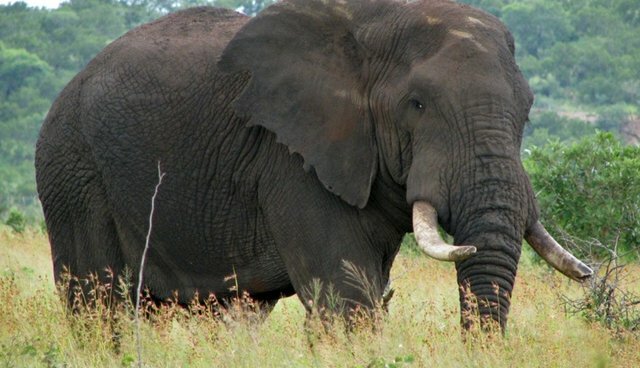 We won't agree on much, but we should all be able to agree that it is not the time for elephant hunting in Tanzania and Zimbabwe, and that the U.S. government is right to enact a sensible restriction that ensures American citizens will not contribute to the assault on Africa's elephants. With the elephant hunting import ban, the U.S. Fish and Wildlife Service is right on target.